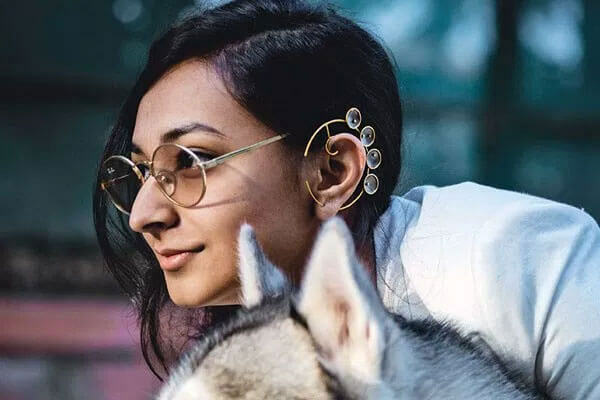 Started by super siblings Kaabia and Sasha Grewal, outhouse is a designer jewellery brand that blends careful craftsmanship with a unique design aesthetic. They won the Vogue Fashion Fund in 2015 and have been extremely popular within the celebrity circuit as well. Celebrities like Sonam Kapoor, Deepika Padukone among many others have been spotted sporting Outhouse pieces. Their designs are colourful, strong and edgy providing a distinctive personality to the wearer. Our favourite? The Imago SS 17 collection that’s inspired by the metamorphosis of butterflies. It’s feminine yet edgy and there’s no reason you shouldn’t get your hands on it! You can purchase Outhouse jewellery from their stores in Delhi, Chennai, Hyderabad and Mumbai or online on Pernia’s Pop Up Shop. 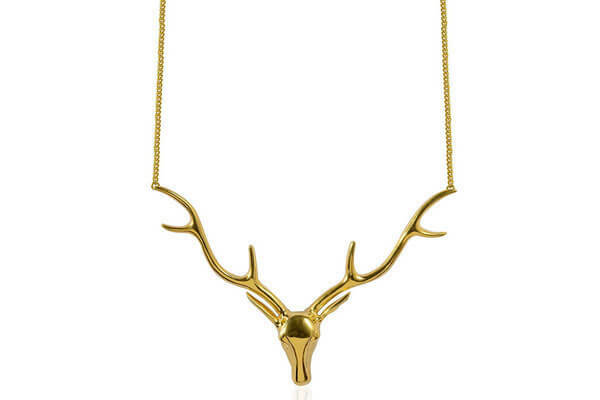 Misho is a brand that redefines contemporary design and turns it into wearable art. 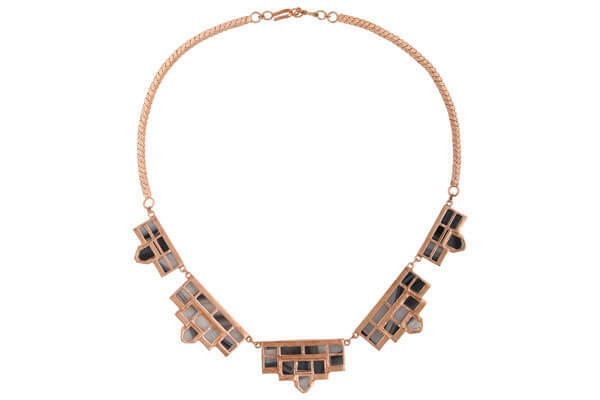 Founded by Suhani Parekh, each piece looks like it’s straight out of a vintage architectural installation! Not just that, the pieces go beyond the conventional ways of wearing them and that’s what gives this brand a whole new level of edge. Misho is definitely the kind of statement jewellery we would dig, and it won’t be wrong to call them the future of jewellery design. You can shop Misho on Pernia’s Pop Up Shop. As the name suggests, this brand curates a spectrum of cool, edgy jewellery ranging from minimalist designs to bold and adventurous. Again, a favorite amongst celebrities and stylists, their unique designs bring a lot of variety to the table so there’s barely a chance you won’t find what you’re looking for. In fact, you’ll find a lot more than what you’re expecting! 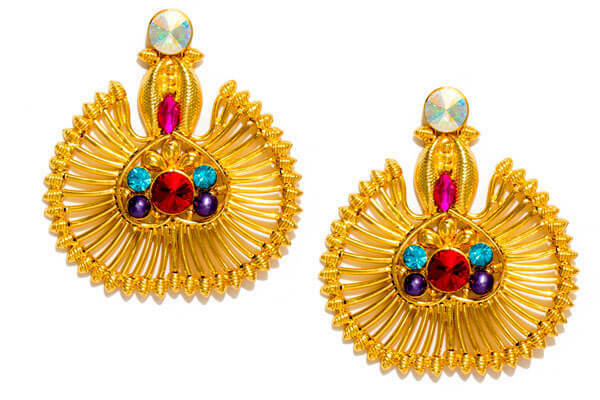 It’s one of the most promising Indian brands when it comes to jewellery! Mumbai based jewellery designer Malvika Vaswani seems to have driven her inspiration from the traditional geometric design fused with unique colour palettes. From edgy earrings to chokers and rings, here you can find all kinds of statement jewellery. 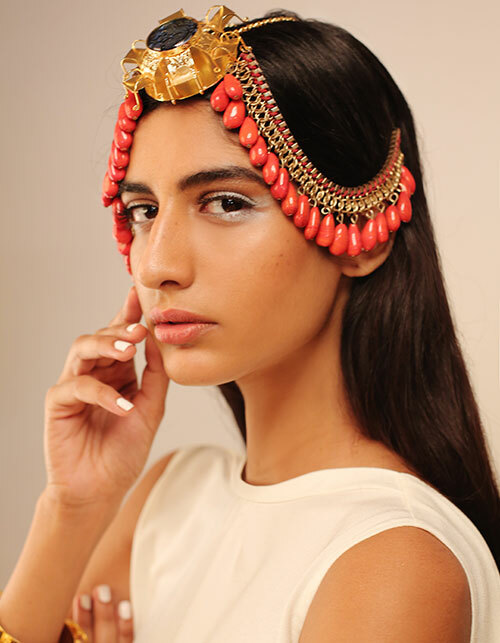 Based in Mumbai, Nitya Arora’s Valliyan is a brand that gives Indian designs, a contemporary, quirky twist. She works with semi precious stones, glass, crystals and much more to create statement jewellery that you just won’t be able to resist. You can buy Valliyan from her Mumbai store in Fort, but you can also buy the jewellery online from Pernia’s Pop Up Shop or on valliyan.com. Kichu is an Indian jewellery design label started by Kichu Dandiya that’s constantly pushing the envelope by coming up with unique design pieces like shark tooth earrings and bisonhead necklace, to name a few! 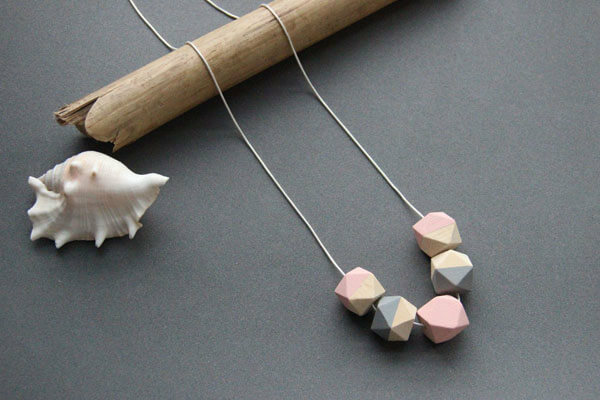 Minimalist and striking at the same time, her pieces are sure to appeal the design lover in you!